. CYP 1 to 2 HDMI UHD 4K2K Splitter. 3D Support. HDCP Compliant. CYP 1 to 2 HDMI UHD 4K2K Splitter. 3D Support. HDCP Compliant. CYP 1 to 2 HDMI UHD 4K2K Splitter. 3D Support. HDCP Compliant. 1080p/60Hz Support. 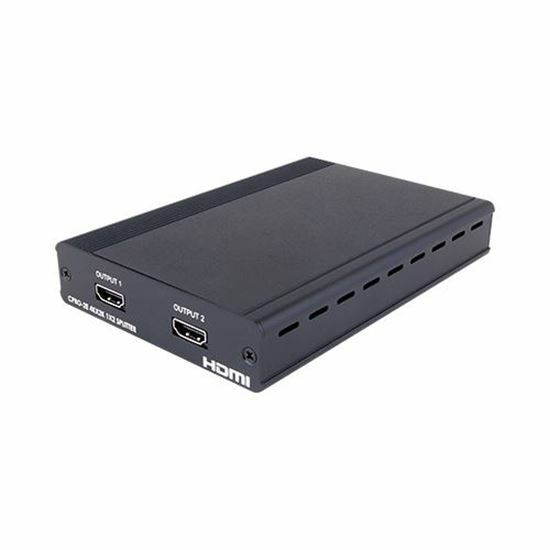 The v1.4 1x2 HDMI 4K2K Splitter from Cypress Technology is a high-performance splitter that has High Definition Lossless Audio. With its 3Gbps bandwidth and the additional features of the latest HDMI standards, users can be sure of great HDMI distribution.